The Star Wars revamp was such an extreme success that the universe was deemed ready to support off-shoot films. The Force Awakens worked, Rogue One was solid, The Last Jedi caused more than its fair share of stir, and the newest project was aimed at Han Solo, his origin story and another peak into a galaxy far, far away. Audiences will never get quite enough of this franchise, we will always be willing to hear the roar of the Falcon, the scream of a TIE fighter, any variation on the theme music. We will always be up for more information about the characters that make up this world, regardless of the director of the movie, regardless of whether or not we really needed the details. Solo gives us what we want, which is simply more, and we are willing to ask very few questions regarding the project's actual value. This is the story of the young Han, his youthful escapades and the adventure that set him on a fateful path to meet Luke Skywalker. Han was an orphan on the planet that built Star Destroyers for the Empire, and that also housed some of the most ruthless crime syndicates in the galaxy. During the time between the fall of the Jedi and the complete rise of the Empire, crime lords controlled the systems, and you either worked for them or kept out of their way. Han escaped the planet, leaving a love behind, vowing to return once he became a pilot in the Empire's army. He did eventually, but soon ran afoul with the wrong people, which almost cost him his life. Now, partnering up with the same crew that almost sentenced him to death, Han will help them on an important job, with the knowledge that one big score might be enough to buy his own ship, his way back home, and the freedom of the girl he left long ago. I saw it said that we have unfathomably witnessed a Star Wars film that we could forget about the next day, that was fun but not near canon, that added nothing to the universe, that you could either take or leave. That's a serious insult, even if it was partnered with some slight praise; that a film from this franchise could be seen or not, that it wouldn't matter to pop culture or to future references or to the rest of the stories. This is maybe the greatest series of films ever made, they've impacted the human timeline in a way that no entertainment ever has before; to think that a new edition could be a bump that you barely notice is shocking. I only partially agree with this take, because I enjoyed Solo quite a lot, but I also see exactly where this voice is coming from. The worst that can be said about this film is that it is unnecessary, because it is in no way an awful movie. But are we so needy for more from this world that we've given up caring whether the quality of the new meet the magic of the originals? 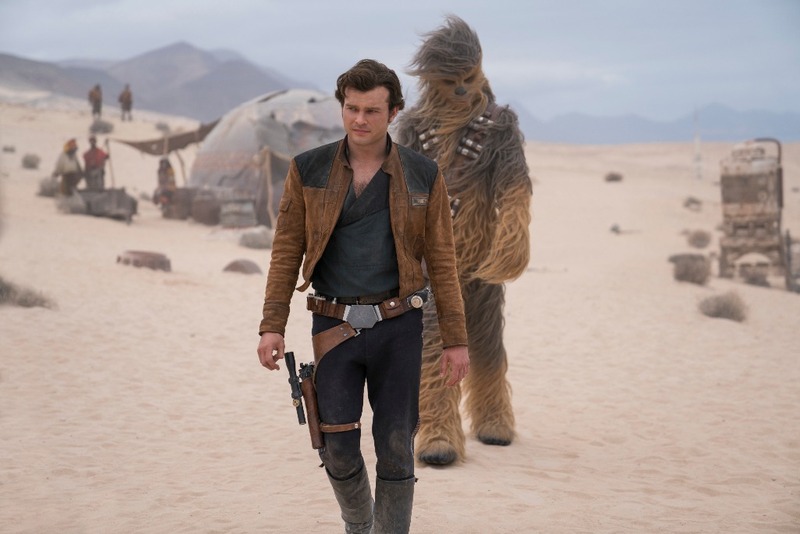 Solo is complicated, not only because we probably don't need it but we still kinda want it, but also because it's a rather botched attempt to make something special, and somehow the result is still something good. It's Star Wars, audiences get pieces of what we've experienced before, but it also aims at other genres, like Rogue One did, becoming a Western/heist/action/adventure/sci-fi/space opera/dromedy that can't make up its mind but also seems not to care. There was a lot of drama in production, that could have caused the chaos, so we'll forgive it for being a little frenetic. And it does enough right to make up for what it gets wrong, I think that's ultimately why I had a fun time and came away ready to give it a solid rating. Ehrenreich is a star, Chewie stole the show, it's always great to see the Falcon, we are set on a path towards the movies we grew up with, double crosses abound, blasters are blasted; if you're prepared to be a fan you will walk away happy. That's how I sat down; prepared to enjoy myself despite whatever mess led up to the final product, regardless of the fact that, although we always ask for more, we didn't necessarily mean/need this. 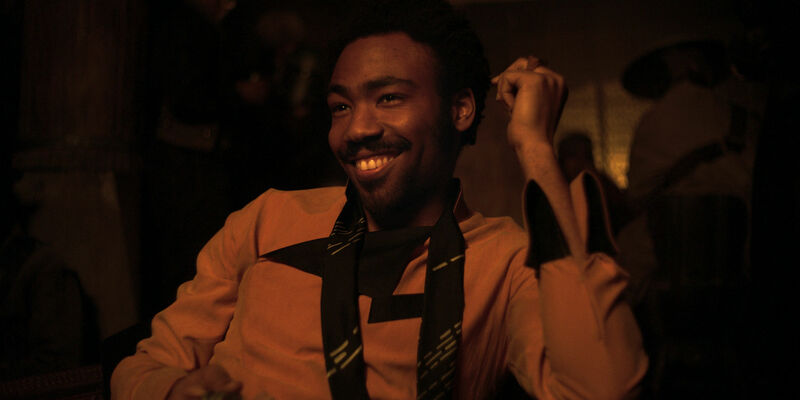 I didn't dig Lando or L3, that bridge was weak, and it seemed like those characters were written in at the last minute without any fore-thought or after-editing. I can't say how super fanatics will react, you never can quite tell, but Solo is very much like riding a new roller coaster; you didn't really need a new package, it isn't actually better than the ones you've ridden before, but the feeling you get when you're flying sideways doing 80 is one that you never can say no to.